In line with its previously announced plans to withdraw all Boeing 737 Classics from its fleet and replace them with additional new Airbus A220-300s this year, Latvian hybrid airline airBaltic has mandated Skytech-AIC, an independent, UK-based aircraft finance arranger, lessor and marketing agent, to exclusively sell its four Boeing 737-300s and two Boeing 737-500s along with their CFM56 engines. The disposal of these aircraft – built between 1995 and 1999 – forms part of the airline’s plan to replace all of its long-serving B737 Classics with new Airbus A220-300s (formerly known as the Bombardier CSeries 300) by the end of 2019. 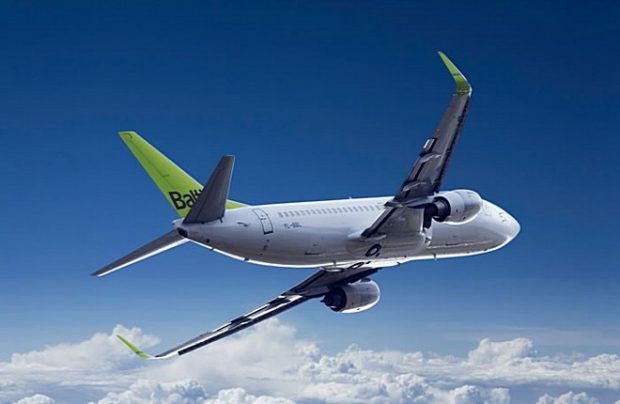 At the same time, earlier this month, airBaltic appointed Skytech-AIC to arrange the sale and leaseback funding for 10 Airbus A220-300s. In 2018, the UK air finance company brought two packages of six of each of the new A220-300s to the sale and leaseback market: the first such open-market transactions involving both the A220 and airBaltic. The transactions proved successful and Skytech-AIC was subsequently appointed to arrange the sale and leaseback of a further tranche of 10 new A220s, with deliveries commencing in November 2019. “Both [of last year’s transactions] were greatly over-subscribed, demonstrating that the Airbus A220-300 and airBaltic are a highly desirable combination for investors and we are confident that this new transaction will receive an even warmer reception,” comments Skytech-AIC director John Taylor. The leading carrier of the Baltic states, airBaltic serves destinations throughout Europe and beyond from the region’s capital cities of Riga, Tallinn and Vilnius. The profitable and expanding airline is currently on track to become an all-A220 operator within the next three years.